Growth by BlackStone Labz essential key factor in keeping your energy and endurance levels up so you can negotiate even the most intense of physical activities. HGH plays a role in the body’s ideal synthesis of protein, fat metabolism as well as muscle growth and development. Growth is designed to help with your overall recovery and optimize your immune system to keep you at your peak. l-carboxy-2-amino-3-pyrobenzol(3,4 diol) is found to optimize the body’s ability to produce and release testosterone while keeping estrogen hormones from going over their appropriate levels. It benefits in terms of how the body copes with stress and delaying the negative effects that it can set off. 4-(pyridine-3carbonylamino) promotes calmness and relaxation as well as heightened mental concentration and focus. Velvet Bean Extract contains a number of beneficial compounds that improve the way your body gets rid of unwanted fat when its metabolic function kicks in. Keeping skin clear and healthy. Urtica Dioica helps keep testosterone hormones from being converted into dihydrotestosterone(DHT) which reduce the positive effects that the former can trigger when it comes to lean muscle growth and development. Piperine improves the way beneficial nutrients are absorbed by the body so you can get the most out of them each time. It helps stimulate the amino-acid transporters to always function properly. 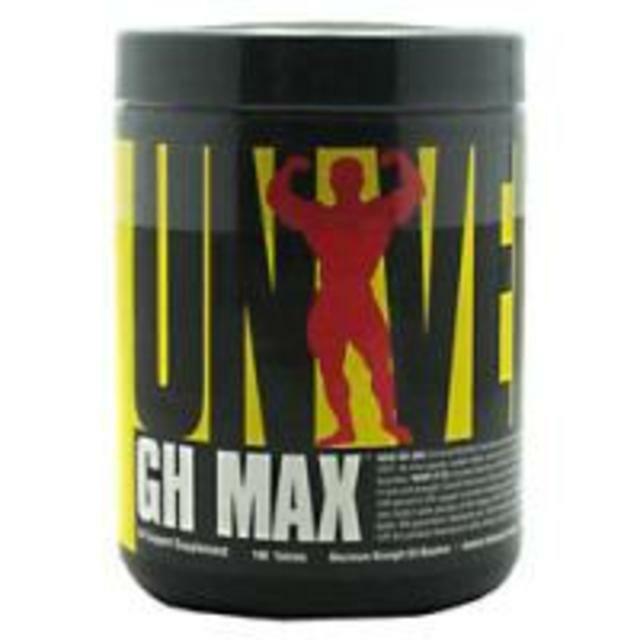 GH Max by Universal Nutrition enhances anabolic functioning for power lifters and bodybuilders. Stimulates protein synthesis to help build lean muscle mass. Helps increase nitrogen relention and reduces protein breakdown. L-arginine Alpha-Ketoglutarate is an natural product that enhances nitric oxide(NO) in the body. NO reduces fatigue associated with resistance training. Beta-Sitosterol reduces the absorption of cholesterol in the intestines. L-ornithine HCI helps encourage strength and performance. Also helps speed recovery from chronic stress by depressing the deterioration of tissue. Gamma Oryzanol increases testosterone levels and growth hormone levels. Also may help reduce cholesterol levels. Boron help increase the bodys ability to produce and use testosterone, so its beneficial for recovering from exercise. Helps boost concentration, focus, and the ability to learn new information. Great for hair, skin, and nails and also a great alternative for testosterone booster or can be stacked with APEX Male.